Ganelon Silvermane, the genetically designed superhero of the Earth's fabulous final age, has rapidly become the most popular of all Lin Carter's creations. Brought to life prematurely, Ganelon's adventures in a world of crumbling empires, ravaging hordes, and marvelous relics of forgotten scientific empires are always edge-of-the-seat wonder novels-the best creation of the author of the Thongor, Green Star, and Callisto books, to mention but a few! 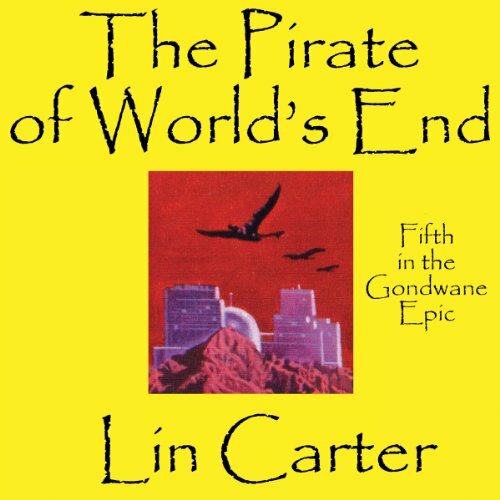 Now, in this fifth and final novel of Gondwane, the world's last continent, Ganelon Silvermane leaves the savage barbarian Horde which he has civilized, and sets off on his greatest adventure... to rescue his friend Kurdi, who has been kidnapped by force or forces unknown!